A favorable decision in a trademark matter is a good achievement, but sometimes it’s not sufficiently satisfactory as the end of a case for a trademark owner. The question is, in particular, whether actual enforcement of the decision, such as removal of the counterfeit products, is possible. In other cases, the trial itself may be complicated due to the defendant’s strategy, such as trying to change jurisdiction or involve other parties in the proceeding by transferring the rights to a trademark to another person. To reduce such risks and facilitate successful completion of a case it may be crucial to apply an injunction. Since 15 December 2017, with the new editions of the Commercial and Civil Procedural Codes in effect, there are new rules that apply to injunctions too. 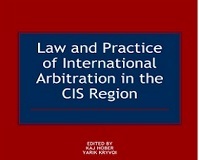 Paragraph 1 of Article 137 of the Commercial Procedural Code of Ukraine and paragraph 1 of Article 150 of the Civil Procedural Code provide an unlimited list of injunctive remedies that includes, inter alia, arrest, a ban on the defendant carrying out certain actions, an obligation to conduct certain actions, a ban on other persons conducting actions regarding the subject-matter of the dispute, suspension of customs clearance of goods, etc. Procedural rules enable a court to impose several injunctive measures, to change them or cancel. We will provide an overview below of the latest trends in case law on injunctions regarding certain types of trademark issues. In matters regarding cancellation or early termination of a trademark registration, the defendant (owner of trademark registration) may attempt to transfer their rights to another person. Such actions may require further involvement in the proceeding of a new person. This can, as a result, cause undue delays in consideration of the case, or non-enforcement of the court decision. 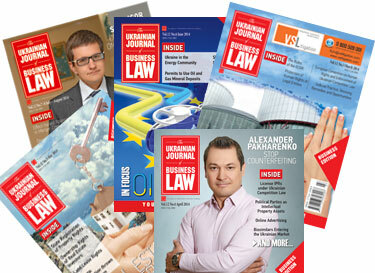 Fortunately, the courts tend to apply the relevant injunctive measures, such as: to prohibit the defendant from transferring rights to or withdrawing from the disputed registration, and to prohibit the Ministry of Economic Development and Trade of Ukraine, which performs state policy in the intellectual property field, from recording the respective changes in the Trademark Register and publish them in the Official Bulletin “Industrial Property”. 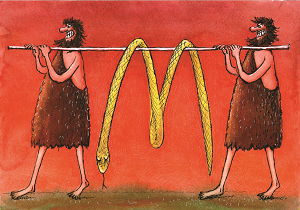 At the same time, injunctive measures shall correspond to the claims. If legal action relates to cancellation or early termination of a trademark registration only in part, the court may dismiss the request to prohibit the defendant to withdraw or transfer rights to the trademark in full, as this would prevent the defendant from exercising its rights in respect to the non-relevant part of goods and/or services. Prohibiting the defendant from using the trademark in such matters can also be considered improper and excessive. The Kyiv Appeal Court in its Ruling of 11 September 2018 in case No. 757/50351/17-ц for early termination of registration for “IGOOGLE” upheld that such a measure will forbid the defendant to exercise its rights, as the registration is valid until a court decision on satisfaction of claims comes into force. — In the Ruling of Desniansky District Court of Kyiv of 10 May 2018 in case No. 2/754/4640/18 regarding ceasing unlawful use of the trademark “Mary Kay”, the court prohibited the domain name registrar from re-delegating the domain name mary-key.com.ua in favor of other persons, to record changes or inscriptions into the respective database, to change the registrar and registrant of the domain name, to delete the domain name. — In the Ruling of Pechersky District Court of Kyiv of 12 March 2018 in case No. 757/75697/17-ц regarding ceasing unlawful use of the trademark “NEXT”, the court decided to prohibit the domain name’s registrar from re-delegating the domain name next-kids.com.ua for the benefit of other persons, except for the plaintiff, to record changes or inscriptions to the database regarding the domain name, including to change the registrar, to prohibit redirection of the domain name, to temporally cease delegation and support of the domain name and record in the database the status of “clientHold” for the domain name. — In the Ruling of Commercial Court of Kyiv of 9 January 2018 in case No. 910/292/18 regarding prohibition of use of the designation “Mobiler” similar to trademarks “EXXONMOBIL” and “MOBIL”, destruction of liquids for car engines under the name “Mobiler”, the court decided to stop customs clearance of goods under a certain customs declaration and to seize the disputed goods. — In the Ruling of the Commercial Court of Odessa Region of 15 March 2018 in case No. 916/159/18 regarding prohibition of use of the figurative trademark “Puma footwear”, removal from circulation and destruction of goods, the court decided to ban customs authorities from allowing the passing of the disputed goods through the border and to provide such goods for further customs clearance. The court, however, refused to seize the goods, stating it is not strictly necessary for the purposes of this case. An injunction can be requested before filing a legal action or at any stage of the proceeding if failure to apply injunctive measures may significantly complicate or make impossible enforcement of a court decision or effective protection or renewal of the infringed or disputed rights or interests of the claimant. The request, prior to legal action, shall be addressed to the court where legal action will be filed or where the subject of the case is located. If the request is filed along with legal action, both documents shall be addressed to the same court, and if a petition is filed after initiation of the proceeding — to the court that shall take the matter up. The court shall consider the request within 2 days upon its receipt without notification of the parties. However, the court has the right to summon the applicant or both parties to provide additional explanations on the case. An injunction may be cancelled at any time of the proceeding and if the claim is satisfied the injunction remains in force 90 days upon the decision coming into legal force, unless earlier cancelled under a petition of a party to the proceeding. Pursuant to paragraph 5 of Article 150 of the Civil Procedural Code of Ukraine and paragraph 2 of Article 157 of the Commercial Procedural Code of Ukraine, arrest shall not be imposed on perishables. Under paragraph 10 of Article 150 of the Civil Procedural Code of Ukraine and paragraph 11 of Article 137 of the Commercial Procedural Code of Ukraine injunctive measures equal to satisfaction of claims shall not be accepted by a court unless a dispute is being considered on its merits. In case No. 910/3923/18 for cancellation of registration No. 195694 “SALES FORCE EFFICIENCY”, the Kyiv Appeal Commercial Court with its Ruling of 31 May 2018 overturned a ruling adopted by a court of first instance on an injunction. 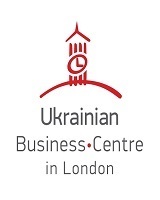 The court of first instance ruled to forbid the defendant from using parts of an information product containing a disputed trademark during advertisement and on the Internet for identification of a certain conference, to oblige the defendant to remove from the market printed promotional materials regarding the conference and to delete the respective catalogue from the website of the defendant, to forbid the Ukrainian Chamber of Commerce and Industry to lease the defendant’s premises for the conference. The court of first instance took into account the fact that the plaintiff annually organizes conferences under the name that is now being used by the defendant for the purposes of holding a similar conference, and such use will cause the plaintiff significant damages. The Kyiv Appeal Commercial Court stated that the injunctive measures applied by the court of first instance could not influence execution of the decision and were premature, as the case had not been considered on its merits. Finally, the parties of the dispute signed an agreement on a settlement and the defendant withdrew the disputed registration. In case No. 910/19870/17 regarding ceasing unlawful use of Ferrero trademarks by manufacturing and selling infringing eggs containing confectionary and toys and imitating the original “Kinder Joy”, the Kyiv Commercial Court prohibited the defendant from selling the infringing products. The request for an injunction was filed after the court announced consideration of the case on its merits, and the materials of the case contained due evidence showing breach of the claimant’s rights, including conclusion of a court examination. Thus, the judge found it appropriate to grant an injunction along with issuing a decision on its merits. Such injunction is important as it may remain valid throughout the appeal procedure, if any. When satisfying a request for injunction, a court may (and in civil process shall in certain circumstances, if e.g. plaintiff does not have a registered address or property in Ukraine) oblige the applicant to guarantee compensation of possible damages of the defendant, which may be caused due to performance of an injunction called a “counter injunction”. A counter injunction is a novelty in legal proceedings, and its aim is to protect the interests of the defendant from abuse by the claimant of their procedural rights. The defendant has the right to request a counter injunction and the court shall consider the request within 10 days. As a rule, the court obliges the applicant to deposit a certain amount of money to the court’s account or provide a bank guarantee on such an amount. If the applicant fails to comply with the requirements regarding counter injunction the court shall cancel the injunction ruling. At present there is no legal regulation of a counter injunction. For example, there are no criteria on how to calculate the sum for a counter injunction. Case law shows different approaches that courts take as to evaluating a counter injunction. In some cases courts require claimants to provide big guarantee sums in disputes with non-monetary claims. On 5 March 2018 the Commercial Court of Kyiv in case No. 910/2503/18 for cancellation of the registration for the trademark LUXOIL, based on an earlier claimant’s rights to LUKOIL, ruled to forbid assignment and withdrawal from the disputed registration and required a counter injunction to the amount of approximately EUR 27,420 — the marginal value indicator for minor disputes. However, the counter injunction was not applied by the Supreme Court in the Ruling for an injunction of 16 August 2018 in case No. 910/5916/18 for cancellation of the registration of Lego House based on earlier rights to the Lego trademark. In regard to cases on the import of goods with unauthorized use of a trademark, it is quite likely that a court, upon a grounded request from a defendant, may apply a counter injunction and ask the plaintiff to secure a sum equal to the value of goods suspended by the Customs Service of Ukraine. Thus, although both injunction and counter injunction may be efficient to protect the rights of the respective parties, formation of further case law is crucial in finding a balance.